Thank you for the kind invitation to talk about my novels. I have been writing for most of my life, though usually journalism and non-fiction. After a number of abortive attempts at novel writing, I decided to sit down and write the kind of historical crime thriller I actually wanted to read, but which wasn’t out there to buy. I read for a degree in literature and Victorian history, and specialised in the Victorian Underworld. About a year ago I had this image in my mind of a Victorian gentlemen walking down an alley carrying a swordstick – and very little more. I knew he was there to right wrongs, but that was about it. So I sat down and started writing. It was really quite spooky! One scene after another unrolled on the screen, characters seemed to leap out – almost as though it all had a life of its own. Before I knew it William Quest, his friends and enemies, were there before me. It was like watching a film. In all my writing life, I’ve never had anything flow quite so easily. 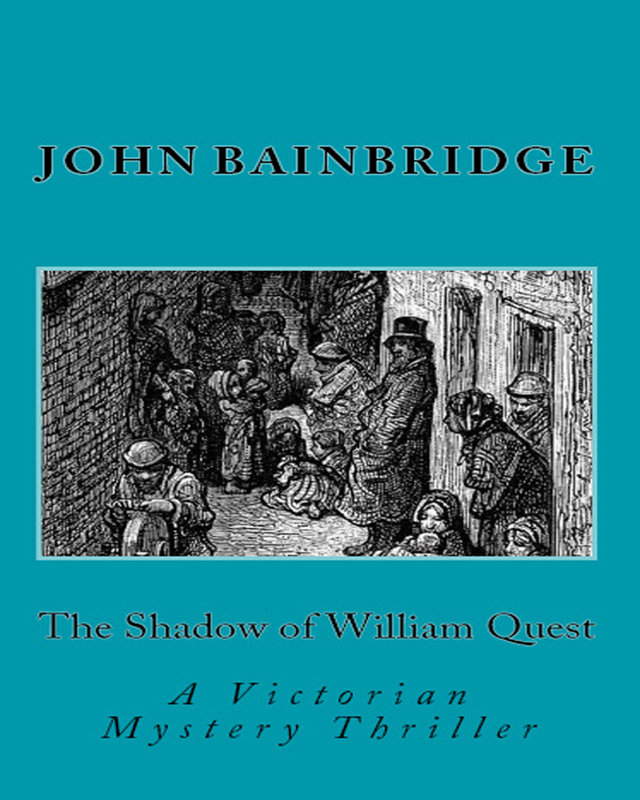 The result was The Shadow of William Quest. I wanted a hero with a dark edge and Quest is – to say the least – morally ambivalent. A man who takes the law into his own hands as he fights against the injustices of Victorian society. I wanted to try and portray Victorian life as it really was, from the rookeries of London to the harshness of rural counties, but try and put forward some uplifting message. After all, we all benefit from the great social reforms put forward by campaigning individuals in that era. I’m now writing a second William Quest novel, which will be out for next summer. I’ve also finished a novel set in England during the 1930s, (no final title yet) which will be out in December. Apart from Quest I also collaborate with my wife Anne on Victorian Cozy crime novels, The Inspector Abbs mysteries. Two out so far, A Seaside Mourning and A Christmas Malice. Fortunately, I have a lot of ideas and intend to write several novels featuring William Quest. We have a blog at http://www.gaslightcrime.wordpress.com which keeps our readers up to date with our latest work. Congratulation, John, you did the research and your characters found you through your creative mind. It’s a wonderful, and rewarding process. Again, congratulations. Writing a book I wanted to read also got me started. Thank you for the kind comment. It is much appreciated. Just occasionally a book does write itself. Mind, I haven’t found it so easy since!